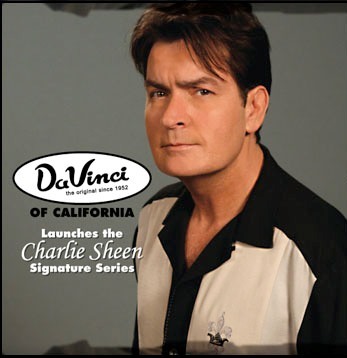 The host of the UGlu infomercial is rocking both the Vince from ShamWow headset microphone and the Charlie Sheen bowling shirt. Even more interesting is the fact that two members of Devo are helping him demo the product in the “UGlu testing lab.” It would have been nice if they had worn their energy domes, but the shades and fluorescent green shirts are a good look for them. The best parts are their in media res tug-of-war at the very beginning of the spot, and the end when they stick that spudboy pitchman up against the wall. The director of the UGlu infomercial must have been a Devo fan, a frustrated performance artist , or both. Wow, this is one of the very few infomercials that actually succeeded in selling me on the product. This is something that actually seems useful; even most infomercial products that try to sell you on their usefulness seem pointless. I think I would buy this product. That product looks pretty neat. I’d get it to secure some slippery rugs. The commercial though is pretty cheesy. Especially the part when the guy is hanging from the door frame. This has nothing to do with UGlu, but you gotta review the My BFF (best fish friends)or the Mo’tato. Those commercials are hilarious! There’s one thing about Uglu that really peeves me every time I see/hear it, how the hell is it can it be “Removed easily” if it’s “permanent”. I mean, sure, I guess I could understand removing it if it’s not attached to two things, but if you can’t get the 2 items apart, how can get you get to the glue to remove it.